ATLETICO MADRID – ARSENAL PREVIEW. The big day has come. Wenger likes to leave things until the last moment. Even when it is out of his hands, the distant stars seem to align his affairs for the dramatic. As the clock ticks down to his departure, this might turn out to be his drama ultimo. There will be plenty of nail biting tonight. That much I can predict. TEAM NEWS :- Mkhitaryan, Ospina and Iwobi are back in the squad. No news on Kolasinac should be assumed as good news. Elneny is out. It is expected that the team for tonight would be similar to the one used in the first leg. Mkhitaryan is expected back in the line up. That brings up the decision on who to drop from the staring eleven between Welbeck and Wilshere; it is a tough choice between hard graft and invention. TACTICS :- Lately Wenger is favouring what appears to be a 4:3:2:1 formation. He seems to want to concentrate attack through the centre more as a ploy to create space in the wide areas for our full backs to use in getting behind opposition back line, aka TA. Of course, tactics ebb and flow in the course of a match and the stake is so high for us that Arsene might venture a slight tweak to things. Each team would be keen for an early lead, more so Arsenal as a scoreless draw (more than 1-1) will see us out. BENCH :- Cech, Chambers, Kolasinac, M-Niles, Iwobi, Nelson, Welbeck. ATLETICO MADRID :- the team has enjoyed an incredible 12 consecutive clean sheets at home. Luckily we know that it is said that anything with a beginning has an end. PREDICTION :- Arsenal to win 2-1. PE.. I think you will get another 11/11.. But still I hope a surprise line up.. Hehehe.. It will be tough.. So I predict 2-2 or 3-3..
I’ll be out-of-pocket for the afternoon (going to see Astros vs Yankees baseball at 1:00pm CDT). So everyone keep the faith– think positive. Good energy brings good things. Costa is playing, so bring Rob Roy! Same eleven as last Thursday. Mkhi on the bench. Well, if we play as well then there’s no reason to be disappointed by that selection. Big night. Some real character called for tonight. Can we do it? Can’t seem to find the subs bench. I saw something in the team’s training pictures that suggested to me Danny would start this game. I guess that’s just the manager’s way of saying : “I trust you, boys. Now, go finish what you started last week”! Nervous, I am. Just think about both sets of players now…. Had to rush to get home in time for the game, after a busy one. Hope the boys make it worthwhile. Either way, just give it a right go and shock the world is all we want. I worry that Mkhi coming off the bench is not the potent force that he is when he starts and grows into a game. Danny has to make this count. I wonder if Mkhi has a doubtful knee after the weekend? It wouldn’t surprise me. I’m struck by the bookies odds on this game. We are huge underdogs it seems. No bad thing. But I don’t feel we are the inferior team at all. Whether we can show it and perform is another mater. But the odds rather underestimate us. I would like to think that the players would be spurred by that too to prove a point. I would imagine Mkhi is fine but Wenger prefers Danny to run them tired. Mkhi will come on and benefit from the fatigue created by him – well at least that is my theory. Good line up, just not sure whether combining Koz and Must is a good idea, but there you go. There is little trust in our ability to defend, AB. The bookies know this and they know that the opposite is the case at AM. But with the right application and a bit of luck, which we are due I believe, we can come good tonight. Oblak would bet eaten twice. Evening TA. Apologies. I’ve been away for the last few days and not had the space to engage at all. I’m honoured to have the quote in the last post. I will come back on the exchange properly in due course. Probably at the weekend. Though I know it may be hard to pick up in that way later on. I need to read through the comments properly. It’s time for some change.. Mhiki for who..?? Welbeck or Xhaka..?? It’s been a fairly even first half but you sense we were a bit on edge in defence; always scurrying to re-position or to correct an error in our play. Twice, with Diego Costa bearing down on him, Ospina has gone down too early, as if already conceding the goal. The second time, Costa got lucky. To be honest, unless we step up another gear and play without fear, this Atleti side can defend this goal all night long. Lacazette isn’t giving the kind of energy we saw in the first leg but I guess that’s because the home side has more of the ball this time than they did in London. However, he has to make his presence felt; instead of turning away from Oblak, when he had him at his mercy, why not rifle the ball into the roof of the net? Take a chance, unless he doesn’t trust his left. I think Jack on a yellow is a huge risk given his style; if someone has to come off (hard as it may sound, seeing as he is stand-in captain) for Mhki, Jack is the man. Ozil can play more centrally for Mkhitaryan to go wide. Long second half to come. Nothing has changed. We still need to score a goal, only this time, to get even. Maybe Eris. We will need to gamble if we can’t score. I suspect Danny off might be more likely. Getting to extra time with no decent midfield would be a short term approach I fear. I guess we could yet make a change with Jack with other options on the bench. Our pivot is finding it hard enough as it is I think. It wasn’t meant to be. Everything has conspired against this team tonight. I am not sure if it is because Atleti are such a better side or that we just lacked a bit tonight. Sad for the club. Sad for Wenger who just can’t seem to get it right in Europe for Arsenal. It is 6th place for us and no trophy. The team gave away the ball at the most inopportune times right after Ramsey took over the band. I’m an emotional wreck right now. Yes disappointing outcome but I thought the boys did us proud. Soooo hard to get through that AM defence and if and when we got behind them, the ball into the box was not good enough. To be fair it is hard to pick out a man when the defence is so tight. Conceding that goal just before half time was of course a major setback and so typical of us. But we took the game to them and tried our hardest. Without either Giroud or Auba on the bench, we had little to make a difference. Yet a decent chance fell to Mkhi – a late sub for Jack – but he blasted it over. Why play with handbrakes on when we are away? The whole team can go with Wenger. We are only good everywhere except the final third, and if Auba is playing he is the one to carry the team. Without him we are absolutely useless. Credit to Athletico, there was nothing between the teams in terms of quality, the difference was in the defending, one shot on target despite the promising opportunities created by the team in black n pink has everything to do with how Simeone has his team organised and nothing to do with Arsenal’s wastefulness. The whole tie was decided by two examples of how awful our defending has become, yes you could say that we were unlucky at the Emirates, but these incidents happen too often for it to be just luck. The Costa goal at the Wanda, was just classic Arsenal, terrible, terrible defending. I was quite encouraged by the performance by Chambers when he came on, I hope he gets starts in our last three games. I’d also like to see Mavropanos start alongside him in those three games as well. End of an era indeed. And sad ending too. Wish it had come after the cup final last year now. Though that wasn’t my view at the time. Fingers crossed for the next season. Atletico are one class above us. Not so much in terms of individual quality but more in terms of organization, team cohesion, team spirit. Simeone has done his homework, Wenger didn’t. Atletico have a better defensive organization with ten men than we have with eleven and that’s all you should know about two teams. Our new manager will have a lot to do. He will have to find a new goalie, a new central defender to replace Lolo and lead youngsters Chambers/Holding/Mavropanos next season. A new CM with a physical presence is a must and finally a winger with ability to cross. I feel so badly for Laurent Koscielny. Granted, my time as an Arsenal fan is shorter than most here (2005)– but. 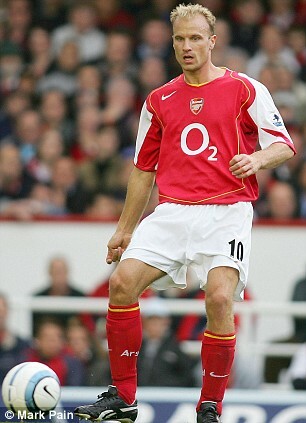 Kos was the best defender the club has seen in that period (no flippancy, please?). Considered in the top few of CBs in the PL for several seasons. Kos and Per as a partnership– at one point– had an unbeaten run of 39 games, over 2 years (2012-14), when playing 90 minutes together. An amazing feat. This season, giving what he had left, operating on a damaged Achilles tendon, without complaint– Koscielny suffered a most ignominious, undeserved end. Of his season, of his World Cup dream, possibly his career. Koscielny gave Arsenal everything. We fans owe him respect in return. Three last comments combined sum everything up very nicely. What else is there to say? Let’s get a point against Burnley at least and then it is Europa league again next season, which I think has done the wider squad good this season. After that it is two away games and I wonder whether it would be best for Wenger to hand over to Bouldie, as these will be meaningless fixtures for Arsenal. It would also be good if Arsenal could make an announcement in the next 1-14 days re a new manager appointment. The club is now feeling low and we need to crawl up and give Arsene a good farewell this Sunday. After that it is all about the new beginning. Three comments before JW’s comment that is. (we posted around the same time). You’ve been clear on your thoughts about Arsene’s departure. However, in donning my PR hat, I don’t see the timeline accelerating– unless– it’s Wenger’s choice. Unless he takes another position, this seems unlikely. I also don’t see a new man being announced before season’s end. If you give the press any spark of a headline? They’ll couch it in kindling, douse it with flammable liquid, and make it a bonfire. Betting it happens the week after season’s end. Maybe as early as May 18th? Bayern München are a club that Ivan Gazidis used to see we should look upon. He didn’t mean – as many fans had thought – that we would win the league six times in a row and had it wrapped up before April each year but that we would have a business model that is different to the oil-rich oligarchs, a model based on a strong home-grown core and a reasonable expenditure of the money that club earns. Now, what Bayern have done in the past is to announce their new manager before the season ends. They announced Guardiola while Heynckes was still working on the glorious treble in 2012-13. They announced Ancelotti in December 2015 while Guardiola was still in charge. Now they announced Niko Kovač just before their semifinal clash with Real Madrid. Arsenal should have followed this example back in December 2016 and announced that Wenger would leave in June 2017 with his replacement being _________. But better late than never. Let’s announce simeone…sorry, someone before the season ends so that players know who will be in charge. There is World Cup there and players should be informed about the future of the club before they go to Russia. But. Arsenal are certainly not Bayern, and certainly not in a one-team league. The conveniences afforded to a Bayern to ‘announce’ a new manager as a formality– when they like– is 180° from Arsenal’s reality in England– and with the British press. Bayern can do as they wish without fear of alienating some portion of their Wonderland fanbase. Seems to me at present? That those who had waited so long for Arsene’s departure (and actually hastening it)– are now wanting for him to please box up his things and vacate. Amicably unwinding a 22-year managerial stint takes a measure of grace. The group of fans who had been upset by him staying as long as did– unfortunately has occurred. Can’t put that toothpaste back in the tube. So, why would the club want to further alienate another segment of fans (those who still revere Wenger) by uneccessarily kicking him and those fans in the shins? Has a ‘having ones cake and eating it too’ feel about it. So, the early injury was a killer (for me, personally) though I was proud of the way the team moved on from it and I’m very pleased for Chambers (who maybe is not nearly as bad as many would wish him to be…) that he kept his feet and got back across to block that sure goal Costa had set up for Griezmann. That would’ve officially ended our quest for extra time, so fair play to CC21 for keeping us going until the end. What else can I say about the match? Again, due to Singapore’s time zone, I forgive JK another round of idiocy for slagging off the whole team. To me a few folks were disappointing but the effort was there. I believe it’s possible to suggest that Jack had a good game AND that Mkhi coming in for him was an improvement and (IMO) we’d have been stronger with him in from the start. 20 mins. with only one of our two January signings was a sad thing. I think we’d have presented a good deal more threat with PEA (and Mkhi from the kickoff)… In other words, maybe (just maybe) the WHOLE team isn’t quite ready for the scrap-heap. Hard to get too upset when a player (Aussie, Joe Ingles) has a career-best game shooting 3’s (7 of 9)– which, if he had only hit his average? The game might have been winnable. Then, going into Salt Lake City (tonight) and having to win one after that? Will be tough. Well JW, I am a HR man and not a PR man and I would say to you what is the point in dragging Arsene through till the very end? I would say: let’s talk to him and see whether he really wants to lead the team against Leicester and Huddersfield away, or whether he would like to take a break as soon as possible so he can make up his mind re his future. It is indeed up to Arsene, but it would be worth checking with him whether he wants to go a bit earlier. It is very common practice in these situations. The club, and the supporters, are all feeling down now, so the BoD have a PR job to do in terms of getting us back up asap, no? I would be surprised if they just let this situation continue for weeks on end. Good shout on CC, 17HT. I watched the game in the pub but the TV screen was not great so it was hard to identify the players. But yes, Calum looked more than okay to me too. When Koz went off like that I reckon many of us thought, it’s just not going to happen for us. We needed luck and a few players standing out and nobody did this for us. I agree that Mkhi from the start could have made the difference but I can also see why Wenger went with Welbeck. It was not to be and I feel sad for Arsene especially. Agreed, as to asking Wenger’s preference. More a marketeer than a PR-guy, I did go through a period in the late-90s with a great company that was acquired, merged twice with sister divisions and (I survived) 5 layoffs– in just a 3-year timeframe. Incredibly difficult extended period for many good people. Keeping your talent informed, motivated, and disinclined to leave? Is an art in and of itself. But then– you know this TA. You and I know this conversation has almost certainly happened. I would expect to hear something by Mon/Tues next week– if so. On the other hand, I wonder and (this is for JW…) if, with last night’s (football) result, I’m left with nothing but hoops banter–and, believe it or not, having not gone through the Oakland team’s dark years–I don’t really have a dog in that fight, to be honest–as long as LbJ and his Cavs don’t beat the Dubs (again). I’ve tried very hard not to be a doomsayer here at BKesque. In not espousing the inevitability of where money takes a game. The romanticism that remains in English football is one of (if not) the last refuges of local sport played at a pro level. As for the hoops stuff? How about an article about my Rockets with a quote in it from Johan Cruyff? Five lay-offs in three years sounds like a nightmare. Helping people through such difficult periods is a very rewarding thing to do—- if it all goes well, that is. Let’s hope for a good game on Sunday and a great farewell for Arsene. It is really the last opportunity to say officially and collectively goodbye to him. Inverted wingers and wing-backs are modern concepts and it can work with the right players. Ozil can play in any role up-front, but yes he rather lets others score than put them in himself. Welbz is a good player to have in the squad and does better if he is surrounded by top quality players, but he lacks technical skills such as accurate passing, positioning in the box and shooting with accuracy. I love his energy and positivity but I don’t think Ozil can work with him very well. Next season an attack of Mkhi, Laca and Auba with Mesut in the hole and Xhaka plus Rambo/Elneny in the B2B position looks like a combination I can get very excited about. I think Auba and Mkhi do the inverted winger thing pretty well. If Rambo leaves we need to replace him, but I am also very excited about AMN to play in that role. Yes it is sad for King-Koz. Top guy and wonderful footballer and I really hope he will get well again for next season so he can play a role – hopefully a big one – for us. I wonder what kind of mentality our players will have this Sunday, what kind of Arsenal will turn up? Will they be determined to go out with a bang, give Arsene a good Emirates send-off, put Burnley back in their box, secure 6th place, give the fans something to remember? Or will they feel sorry for themselves, be unable to shake off the disappointment of losing in Spain, stumble against a stoic Burnley defence? I really have no idea, it could all revolve around the kind of team Arsene picks, if he goes with the Wanda team or pick some fringe players to freshen things up. Aubameyang will be back, Cech could be back, Koz will need replacing and what kind of mental state will Arsene and his staff be in, they’ll be as disappointed as the players and the fans? Kev, they are 75% professionals i.e. conditioned, robot like so expect to see about the same thing. Also expect many changes, though it would still be a strong team. Have you never wondered how these middle of the table teams keep fighting right to the very end? PE, i am expecting us to make as many changes to keep the team fresh, and Auba up front might help the team. We know Burnley is not an easy team to beat, so we have to deploy howitzers before we go for ground attack. I like some of the center backs that Burnley develop on a regular basis. Aubameyang will swing it for us tomorrow I reckon. Remember to call Jack Butland today please!